Both Brent and WTI have declined by around 20% from the four-year highs they reached in early October. Oil-marketing companies slashed the prices of petrol across the four metro cities on Friday. Petrol was priced at Rs. 78.06 per litre in New Delhi, Rs. 79.98 per litre in Kolkata, Rs. 83.57 per litre in Mumbai and Rs. 81.08 per litre in Chennai, according to Indian Oil Corporation (IOC). Diesel was sold at Rs. 72.74 per litre in New Delhi, Rs. 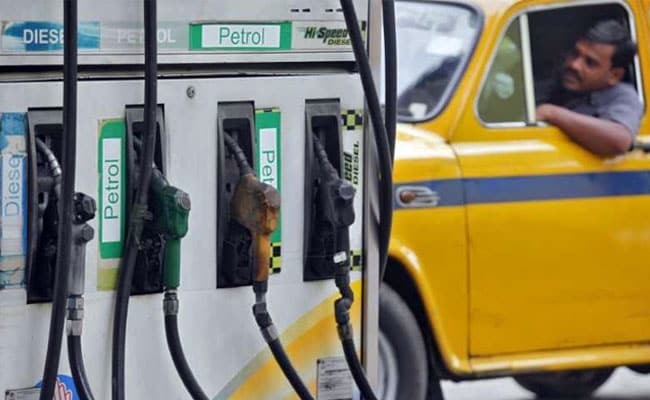 74.60 per litre in Kolkata, Rs. 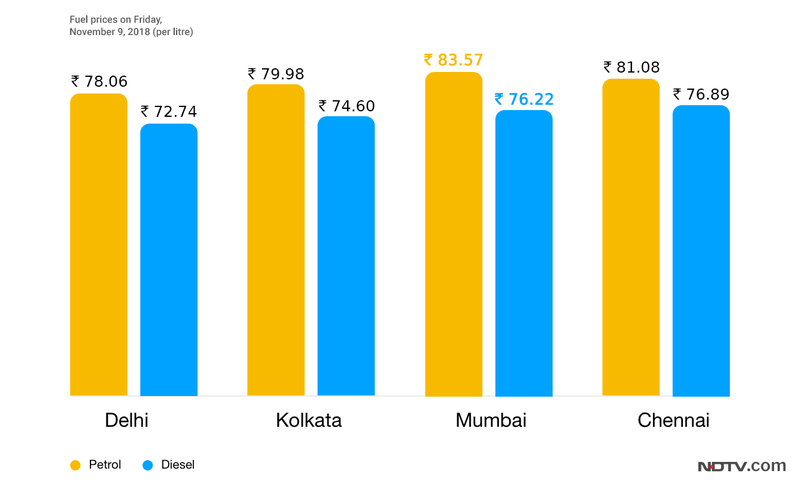 76.22 per litre in Mumbai and Rs. 76.89 per litre in Chennai. Petrol and diesel rates are decided on a daily basis by oil-marketing companies on the basis of the rupee-dollar rate and global crude oil prices. Globally, oil markets on Friday remained weak as rising supply and concerns of an economic slowdown pressured prices, with U.S. crude now down by around 20 per cent since early October, reported news agency Reuters. US West Texas Intermediate (WTI) crude oil futures were at $65.60 per barrel in intraday trade, down 4 cents, or 0.1 per cent from their last settlement. WTI is set to fall for a fifth week, down 4.1 per cent so far this week. Front-month Brent crude oil futures were at $70.69 a barrel, 4 cents above their last close. Brent is set for a 2.9 per cent drop for the week, its fifth straight week of declines. Both Brent and WTI have declined by around 20 per cent from the four-year highs they reached in early October.